My Mother, My Son | Alive or Living? I had the opportunity to spend some time with Dr. Oz and his wife Lisa this evening. 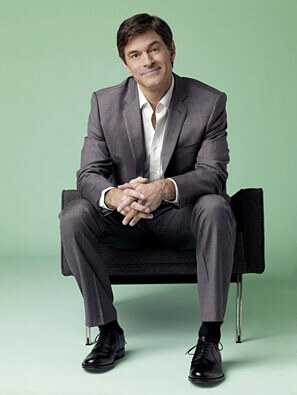 Dr. Oz made his fame as Oprah’s physician and then created his own television show now airing as the Dr. Oz Show. He is the current TV expert to tell us how our body works. He is a genuine, thoughtful and sensitive man. His wife Lisa is the strength in the family. My wife met her two years ago and asked if I wanted to come along. In typical male fashion, I said, “Nah not really interested.” I surmised that Dr. Oz was the real attraction and I didn’t want to meet his wife. Little did I know that Lisa was the engine of the car. She was the first Executive Producer of his show, that got Oprah to notice him. She is an actress, has a best selling book, is a mother of four, a spiritualist and a Reiki Master. Did I mention she is the mother of four kids? She is amazing. They are a fascinating power couple who take health and maximizing people’s health seriously. As I was talking to Mehmet I told him about my mom’s dementia and how we have kept her going even though she is not really there. He said one of the toughest things he has to do is to counsel people to take themselves off some type of life sustaining device that doesn’t help. As a doctor there is a crossroads between what you can do to keep someone alive, the oath that is taken, and what is right for the patient. Tell them what they are facing and then ask them what they want to do. I felt from what Mehmet was saying that I was playing doctor. I am keeping my mom alive with every method available to me, but is it the right thing? The tough part about dementia, is that there is no way to get the patient to weigh in. This question should give us all pause. Keeping us alive in not really keeping us living.